At Miller Engineering, at least one fire or explosion examination is underway at all times. Our experts have experience investigating fires of residences, manufacturing facilities, and appliances. We perform rigorous and multidisciplinary analyses in order to identify root causal factors that contributed to an incident. From initial inspection and testing through final reports and courtroom presentations, our detailed investigations have provided favorable results for our clients. How improper procedures followed by users or installers may have contributed to the initiation of a fire or explosion. This case involved a home fire resulting in a child fatality. 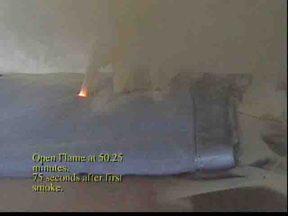 Miller Engineering analyzed cause and progression of the fire related to an old heating blanket as well as performance of smoke detectors in this fire reconstruction. The image illustrates an exemplar blanket being tested to determine the rate at which smoking begins. We conducted several of these tests and graphed the results. 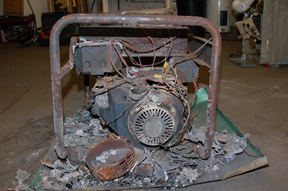 This case involved a home fire during an electrical outage and a generator was in use. There were concerns the generator malfunctioned, but further analysis lead to the conclusion that the fire started during refueling of the tank. 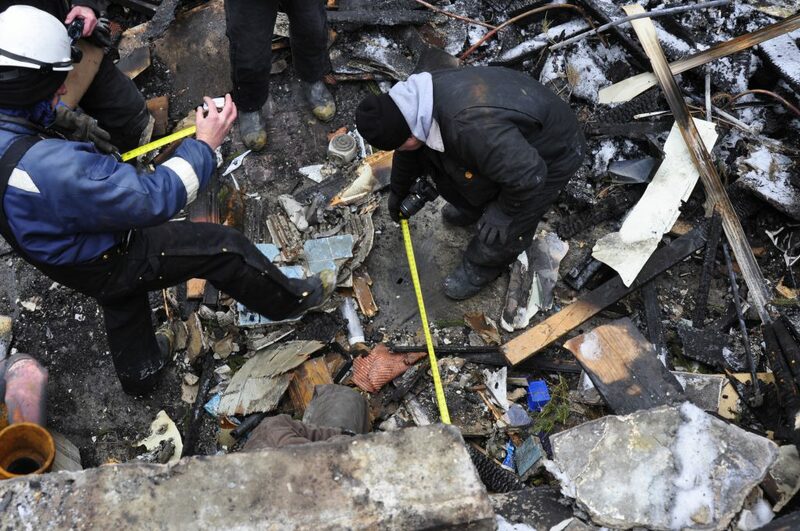 This case involved a whole house fire that was traced to a gas fireplace. 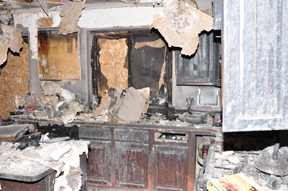 A faulty installation of the gas line lead to a leak and subsequent whole house fire.